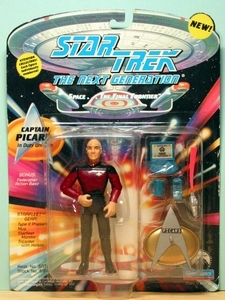 Captain Picard in duty uniform nr 6070-6942. Fabrikant: Playmates. 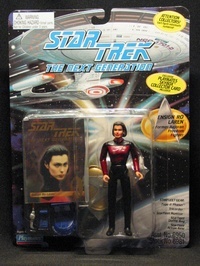 Ensign Ro Laren (Playmates Collector Card) nr 6950-6981. Fabrikant: Playmates.